Kairos optimises the performance of elite athletes by providing them with a structured tool to engineer and own their training, medical, athletic and skill requirements. These features are delivered simultaneously alongside real-time insights allowing the athlete to attain peak performance on game day. The platform is currently being piloted by Ulster and Ireland Rugby. 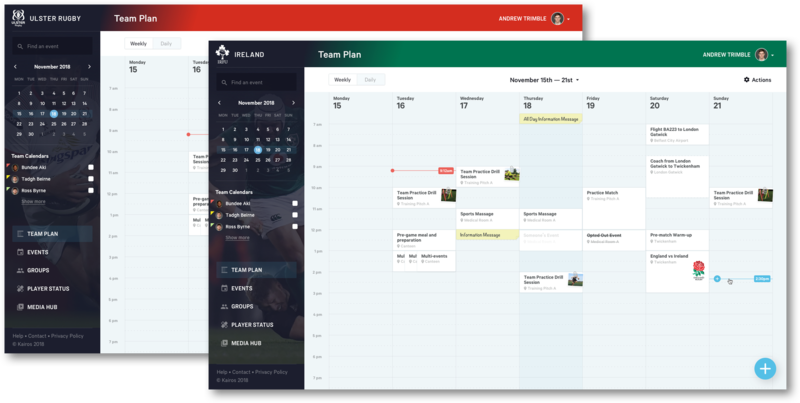 Kairos is a platform for elite sports clubs to streamline planning and optimise performance. 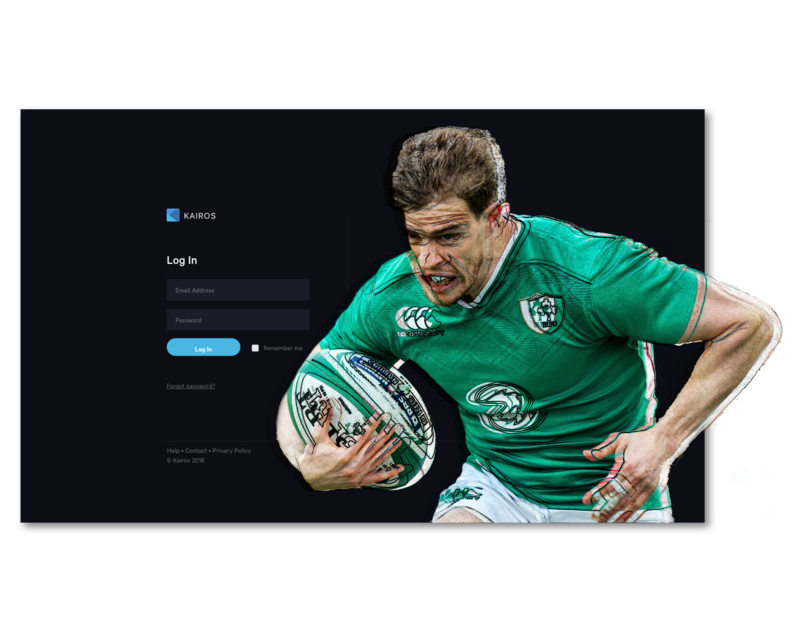 Founded by Andrew Trimble, former Ulster/Irish Rugby player, Kairos is a tailored and dynamic sports performance platform - optimising the performance of elite athletes by providing them with a structured tool to engineer and own their training, medical, athletic and skill requirements. These features are delivered alongside real time insights allowing the athlete to attain peak performance on game day. Dawson Andrews have been Kairos’ technical partners from day one and have seen the platform from conception to piloting in iOS and desktop versions in the UK’s highest performing sports teams. Elite sports is becoming increasingly more competitive as clubs across the world seek to identify how to maximise performance more consistently. Sports technology is continuing to aggressively impact how all elite sports clubs drive performance on and off the pitch. 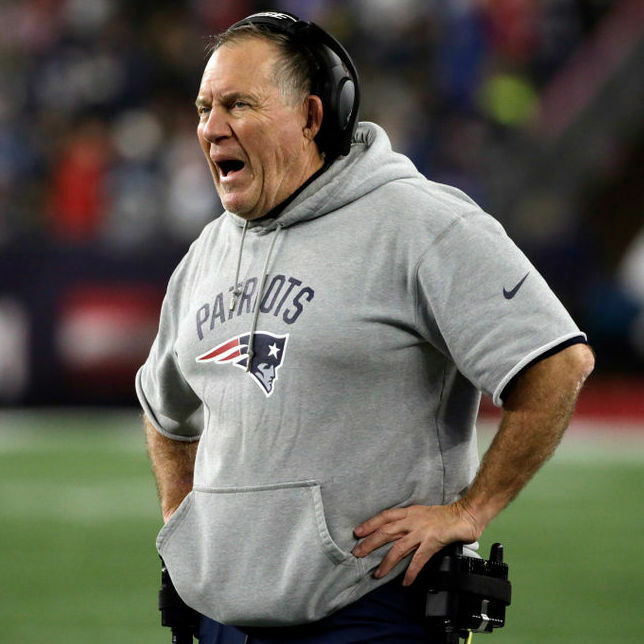 In addition, coaches are now driven by a methodical and engineered approach to how they derive increased performance from their players individually and the team collectively. "There are no shortcuts to building a team. Each season, you build the foundation brick by brick." One area within the sports tech arena that is yet to make significant traction is training and team management specifically for elite sports clubs. 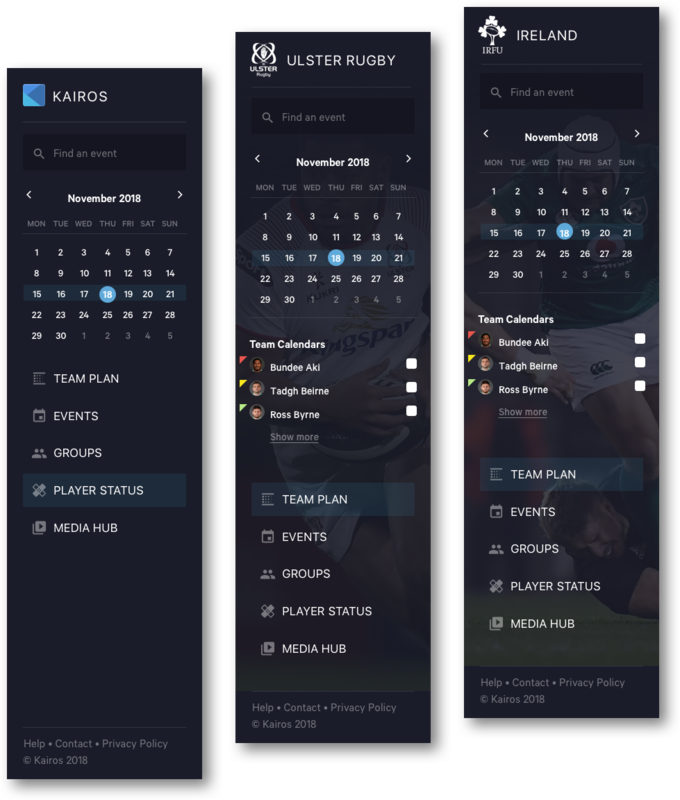 Kairos is an app-based platform which dramatically improves how elite sports clubs, its players and backroom staff engineer and maximise performance allowing both to take control of what is required to deliver on and off the pitch. Kairos provides a powerful and convenient platform that not only drives high performance within elite sports clubs but it also helps make high performance consistent. Team management currently consists of an amalgamation of WhatsApp groups, iCal’s, email, whiteboards and phone calls. Due to the inconsistency of communication-mediums players are inundated with pressure to stay on the ball when it comes to scheduling and logistics. Kairos exists to alleviate that mindspace so players can focus on their own performance. Providing a platform unique to elite sports clubs enables them to plan, publish and amend individual and collective activities in real-time and in a manner that empowers the individual athlete to own their own performance. The Manager/Head Coach/Assistant can easily create and publish a Master Schedule. When published, a notification is pushed out to the smartphones of every player in the designated squad. The Master Schedule includes all generic squad and unit activities from matches, squad trainings, set play trainings, briefings and meetings. Once each player is notified of the published Master Schedule they will be invited to easily populate their personal schedule with all weekly activities that are unique to them. Activities may include Strength and Conditioning, set-piece training, physio, club doctor, club PR, and personal non-club related commitments. 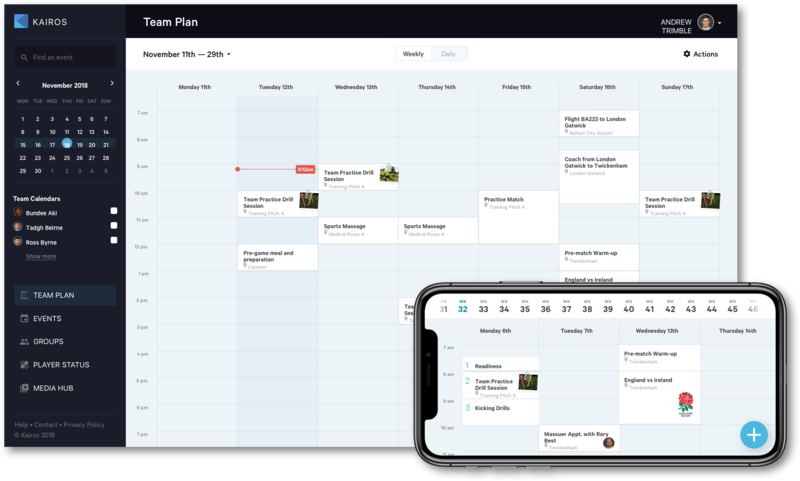 This feature allows individuals to tailor their plan so when game day comes they’ll know they’ve ticked every box and they are ready to perform. 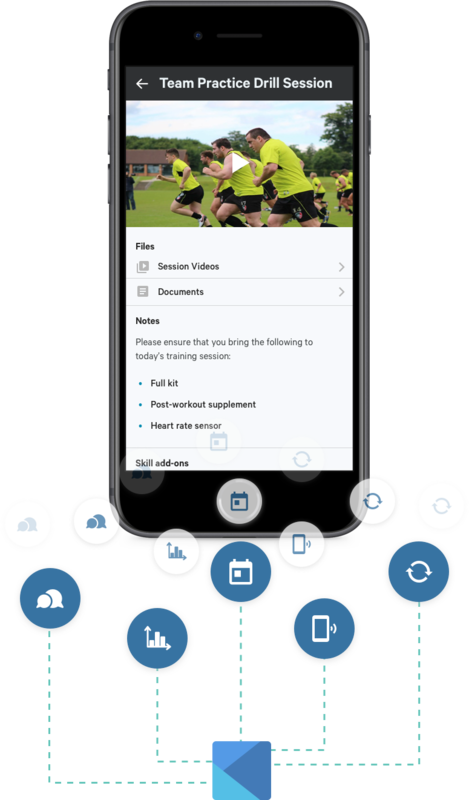 Kairos enables coaches to upload session detail with media, notes and participant details to session plans within the admin dashboard so that players and coaches can view the information and plan accordingly. The quality of performance almost always reflects the quality of training in the run up to game day. The content and requirements of the team training session are uploaded to the ‘Session Plan’ in Kairos and the players can then plan accordingly. 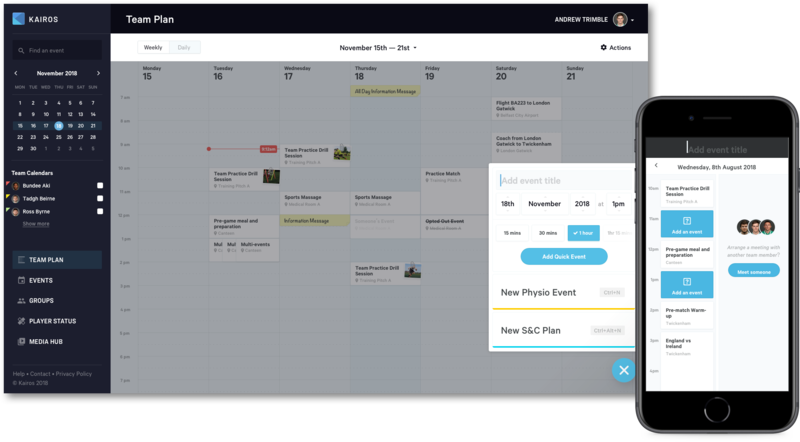 By mapping event formats we were able to create quick templates for events that happen regularly such as management meetings, squad lunches and game prep meetings. These come pre-populated with usual locations, durations and invited groups to speed up administrative efforts. Subtle time saver - when typing an event title we suggest past events, pull in their event title, duration, time, location and the people/groups involved. Kind of like a mini event template. 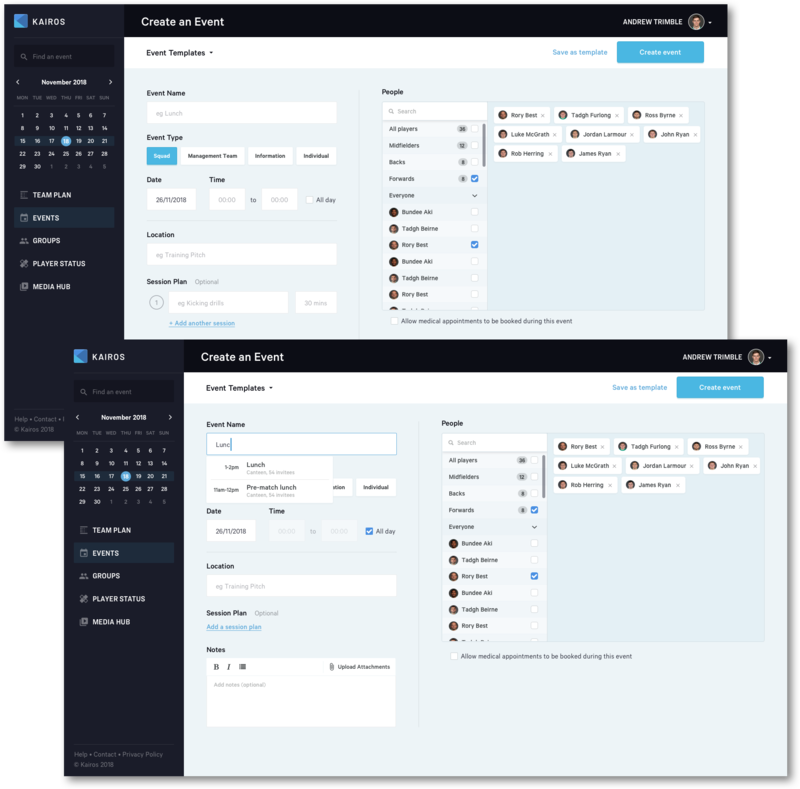 When wire-framing the UI of the app, we noticed that we could reduce the admin time in creating events. Based on the assumption that admins may not need to fill in all of the information all of the time - it was possible to offer a quick event option that could skip the formalities of a highly detailed event. By making it smart enough to know what day it is as the default date (adjustable up and down in the date widget) and with a start time that hasn't already passed we were able to reduce clicks significantly. While a few clicks mightn’t seem important, it has a significant cognitive effect - the apps we love don’t make us click any more than we have to. User groups allow quick communication with sections of the squad with one click. By maintaining current squad layouts the management can communicate fast and efficiently to every group necessary. These groups are then reflected across Events and Team Management sections so every action made in the system can notify relevant parties seamlessly. A simple drag and drop function was created to easily edit and produce team status reports. This data is then reflected in the rest of the system. For instance, an injured player can’t train but can attend team lunches, a recovering player can train but needs a specific program flagged, only match fit players can be selected for the weekend squad. With sports technology leaps ahead of sports management technology we wanted a way to tap into the live data the likes of Statsports, wyscout and InStat are already reporting. Kairos has the ability to harness third-party information that can help players and management/coaches maximise performance from individuals and the team. The Kairos app acts as the single window for players to gain the information they need to maximise their performance. A unique note/info style - styled like a sticky note as a nod to the old notice boards and with the added benefit of feeling more temporary and visually very different from regular events making it stand out. (just to the right of that) - an event I've opted out of. White label; team-specific colours and logo’s for headers, dashboards, etc. Kairos have recently closed a round of investment round and have deployed the solution into a number of professional sports clubs. Kairos now commences on an aggressive growth plan which will see numerous professional and elite sports clubs across the UK and Ireland utilise the platform before moving into Europe and onto the US over the next 48 months. We’re currently working alongside them on their next phase of development which will focus on the deployment of a number of unique modules allowing players to gain control of their rehab, strength and conditioning and skills plans. We will also be working with Kairos' partners to integrate solutions through APIs to provide the player and club with a simple yet rich insight into the data that will be collected to allow for more evidenced-based decisions that will help improve performance. - Andrew Trimble, former Irish rugby union player, founder Kairos.